Stop Everything!!!!! The amazing Cocoa Brown team have only just went and added a new Goddess Oil to their beauty range and launched a gorgeous gift box with their goddess oils including the new Ice Goddess along with Rose Gold and Golden Goddess which will launch in stores on November 8th. In case you have been living under a rock this is the fab shimmer oil you cannot be without. If you don’t have one in your makeup bag (what are you thinking!) go out and snap one up fast. I have been a huge fan of their self tanners for a while now and their Goddess shimmer oils which are luminizing all over the body are nothing short of spectacular for perfecting your glam look for a night out. Use as a primer before you apply your foundation to reflect the light and brighten dull skin. The new Ice Goddess has violet undertones which particularly helps lift and brighten dull skin which is more common in winter months and will make your face be luminous which is perfect for those selfies! Add your favourite Goddess Oil to your moisturiser to create a gorgeous shimmer all over your body making you a bronzed goddess. Cocoa Brown Goddess Oils have been used by some of the most famous celebrities and makeup artists worldwide, especially by Joyce Bonelli and the most famous family in the world the Kardashians who love using it to highlight cheekbones, shoulders and décolletage which gives a body glow that photographs incredibly. Joyce was quick to adopt the three-step tanning technique which uses the Cocoa Brown range to sculpt, silhouette and add luminosity to your skin. Gone are the days of just throwing on a self tan, instead now you can sculpt your body, add tone and definition as well as adding luminosity to the skin. The first step is to apply a one hour tanning mousse to the entire body using a mitt. Wait one hour for a light glow, two hours for a more bronzed look and three hours for a deep tan before rinsing the tan off in the shower. The next step is to use a bronzing gel to sculpt the face and body and create a more natural looking tan. Begin on the face using a foundation brush, apply the gel to the top of the forehead, tip of the nose and the sides of the cheek. Also use to deepen your tan on the decollete and down either side of your arms and legs to create an optical illusion, slimming the silhouette. The third and final step is to use one of the shimmering dry Goddess Oils on areas like cheekbones and temples, collarbone and down the middle of your arms and legs to give the skin luminosity and glow. Cocoa Brown was created and founded by the amazing Marissa Carter who is not only one heck of a savvy business woman but one of the most incredible, down to earth women I have met and I really admire how she has grown this terrific brand. 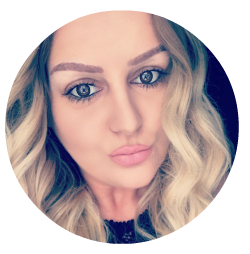 Follow her on Instagram and Snapchat for not only up to date product information but for her love of skincare and makeup brands that she shares her knowledge with all her followers. She is one not to be missed! Cocoa Brown is available in so many stores including Penney’s/Primark, Superdrug, Tesco, House of Fraser, River Island, Lloyds Pharmacies, Medicare and online at cloud10beauty.com visit Cocoabrown.ie for all the full stockists information and full product range.